This prize is a fundamental statement of financial stability and solidity and an important security warrant for all our customers. 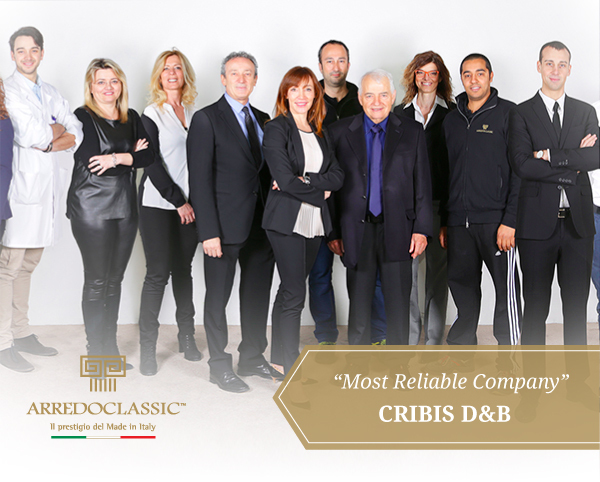 CRIBIS D&B is a highly specialized company with advanced business information skills. It was set up in 2009 with the aim of providing both the Italian market and D&B's global clients with the highest standards of quality in terms of business coverage, the depth and accuracy of information, the technological capacity and flexibility to respond quickly to market demands, as well as in the provision of decisional systems, and scoring models.